The Kala ukulele foam case provides great protection for your instrument. It's a heavy duty, light-weight case that has a large accessory compartment and two backpack straps. 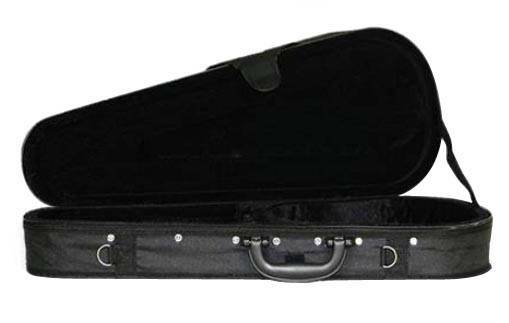 The Kala case, which comes in four sizes, also fits most brands of ukuleles. Long and McQuade did there part perfectly, They shipped it to me very quickly. About the case... Pros... - Very ridge case - soft felt interior - Ultra light weight - Fits my Kala Soprano Ukulele perfectly - Interior Velcro strap to hold your Ukulele snugly in place - Has 2 straps, a back strap and a shoulder strap, and a caring handle on hinges - Exterior pouch is very handy Cons... - Zipper quality is terrible, it gets stuck while zipping and unzipping. - Has a small interior pocket for your tuner, But my Snark Ukulele tuner can't even fit inside it :( .When I put it in the pocket the flap is left sticking up and it can't close all the way. (it poses no threat to damage the Ukulele, so it still kind of works) Overall the price is a little high for the quality of the case because of the zippers. After all; if the zipper breaks then your case is useless. The zippers get very often when you open and close the case. They are very thin and flimsy. The zippers seem to be the only major problem, other than that it's great!